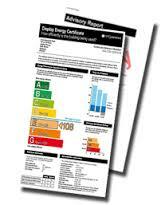 Display Energy Certificates DEC London Kent Essex. Display Energy Certificates (DECs) and accompanying advisory reports (ARs) are required for buildings with a total useful floor area over 250 m2 that are occupied in whole or part by public authorities and frequently visited by the public. A DEC and advisory report are required for buildings with a total useful floor area over 250 m2 that are occupied in whole or part by public authorities and frequently visited by the public. Display Energy Certificates are not required by private organisations, including those that may share a building with a relevant institution, but may elect to do so on a voluntary basis. In January 2013, the Government lowered the floor area threshold for DECs from 1000m2to 500m2. This was lowered further in July 2015 to iclude properties with a floor area greater than 250 m2. Now, eligible properties with a floor area greater than 250 m2fall within the regulation. Where the building has a total useful floor area of more than 1,000m², the DEC is valid for 12 months.The accompanying advisory report is valid for seven years. Where the building has a total useful floor area of between 250m² and 1000m², the DEC and advisory report are valid for 10 years. The building area measurement specified in the legislation is the Total Usable Floor Area (TUFA). This is the same as the Gross Internal Area (GIA) in common use in commercial property surveying, and for which measurement conventions are based on the RICS Code of Measuring Practice . Private organisations, including those that may share a building with a relevant institution, do not need to display a DEC, but may elect to do so on a voluntary basis. In January 2013, the Government lowered the floor area threshold for DECs from 1000m2 to 500m2. This was lowered further in July 2015 to include properties with a floor area greater than 250 m2. Now, eligible properties with a floor area greater than 250 m2 fall within the regulation.